. إن الخدمات التي يقدمها منتجع سيلفر ووتر تضمن للنزلاء إقامة مريحة. يمكن لضيوف الفندق الاستمتاع بالميزات التالية على أرض الفندق: تسجيل وصول/خروج سريع, تخزين الأمتعة, واي فاي في المناطق العامة, صف السيارات, خدمة الغرف . في منتجع سيلفر ووتر غرف نوم يزيد عددها عن صممت بذوق وعناية لتوفر لك كل وسائل الراحة . بعضها يحتوي أضاً على تلفزيون بشاشة مسطحة, حوض الاسترخاء, غرف لغير المدخنين, مكيف هواء, تدفئة. يمكنك طلب اللائحة الكاملة للخدمات في الفندق ومن بينها حوض استحمام ساخن, مركز للياقة البدنية, حمام سباحة خارجي, حمام سباحة داخلي, تدليك. مهما كانت أسبابك لزيارة جزيرة فيليب، فإن منتجع سيلفر ووتر هو الخيار الأفضل لإقامة مثيرة وممتعة. This a good place ,great location and rooms are good. Our room had a good view of the ocean. Staff are very helpful. The only fault I have is the indoor spa which tends to turn into a kid pool and you cannot relax at all . Needs more strict rules on this. I would stay ag a in. Booked a 1-bedroom unit months before the trip and maybe that's why the rate paid for a 2-night stay was very very reasonable. With GPS, Silverwater Resort is easily located within San Remo and the supermarket/ petrol station etc are all within a 3min drive down the main road (towards/ near Phillip Island). The allocated unit (hillside) faces the sea and is a good spot to view sunset at the dining area (balcony). Just like most pictures posted, all room Amentities are clean and good, especially the almost full kitchen that comes with clean crockery, cutleries, fridge, dishwasher etc. Washing liquid included. The only little letdown was the dryer did not dry our clothes as there was some pipe malfunction - btw this was quickly savaged with a very prompt room service; the staff tried to fix but could not and had our clothes immediately sent to housekeeping. Our clothes hence, reached 'home' earlier than us that day. :) The resort also has great facilities which sadly we had no time to use.. I believe the outdoor and indoor pools are great and so is the game arcade. We absolutely love the playground with that big jumping pillow. We totally had fun!! For all the very good touch points we had with the resort and staff, I will say Silverwater Resort is a must-stay the next time we come back. Thumbs up and keep up the good service! The resort is located at San Remo, somewhere before the bridge to Philips Island. It is a 25 minutes drive to Penguin Parade. Resort is big, from the reception building to our apartment was 10-15mins on foot. Wouldn't recommend unless you are driving. The place is clean and well maintained. There is indoor swimming pool, jacuzzi and sauna, game arcade, restaurant. We really enjoyed our stay at Silverwater resort and would recommend anyone travelling to Phillip Island stays at least one night here. Food in the restaurant is excellent (A little bit pricey but well worth it), staff are really friendly and the facilities are great. Only thing that let us down was the old food stuck to the blinds and the dust fan in the bathroom. Clean and spacious apartment, quiet and peaceful. No major issues or complaints. Staff acceded to my request for ground floor apartment and also provided handicap shower facilities for wheelchair grandmother. 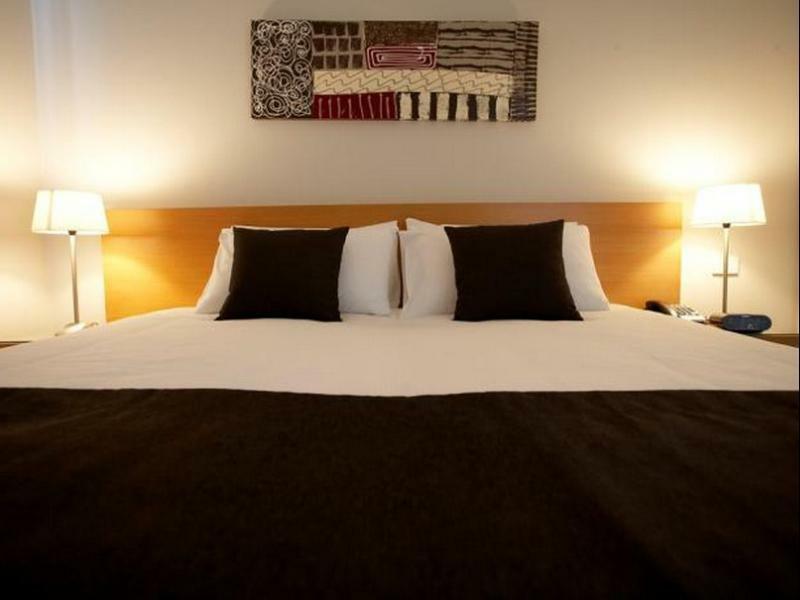 The hotel is located not far away from Phillips island, which is 100km away from Melbourne CBD. The resort like hotel has nice deco and some of the rooms (like ours) are having sea view balcony. parking is free and Service is great as well. 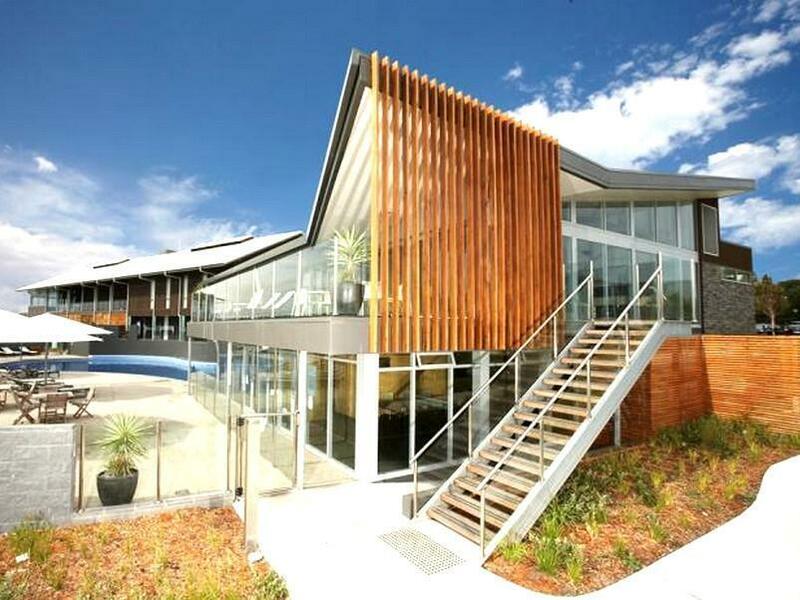 is a good choice to stay at Silver Resort over thousand type hotels & resorts at Philip Island. A very good environment with friendly staff.... good choice of morning breakfast... we definitely will come back again!!! We only stayed for a nite. The resort was self contained and comes wif 3 king-sized bedrooms. It's a pity as we didn't manage to enjoy the resort facilities. We checked out very early and on the way out saw a very nice and big playground for kids. Children will definitely loved to play there. Hope to go back there and stayed again. Nice resort with everything you need. The room equipped all kitchenette that are much enough to prepare dinner. 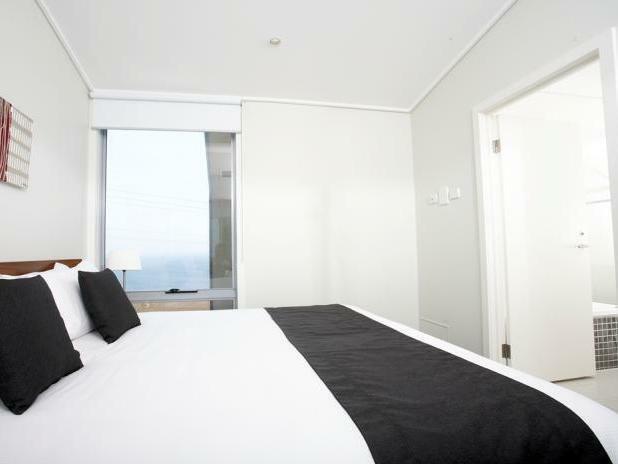 The room is spacious and with the great ocean view. I could even wait for the sunrise in front of the balcony. The staffs are friendly and helpful. They could book the tickets of penguin parade. I stayed for a night during our visit to Phillip island. It was fully equipped with everything you need: a well equipped kitchen and even a bbq oven. 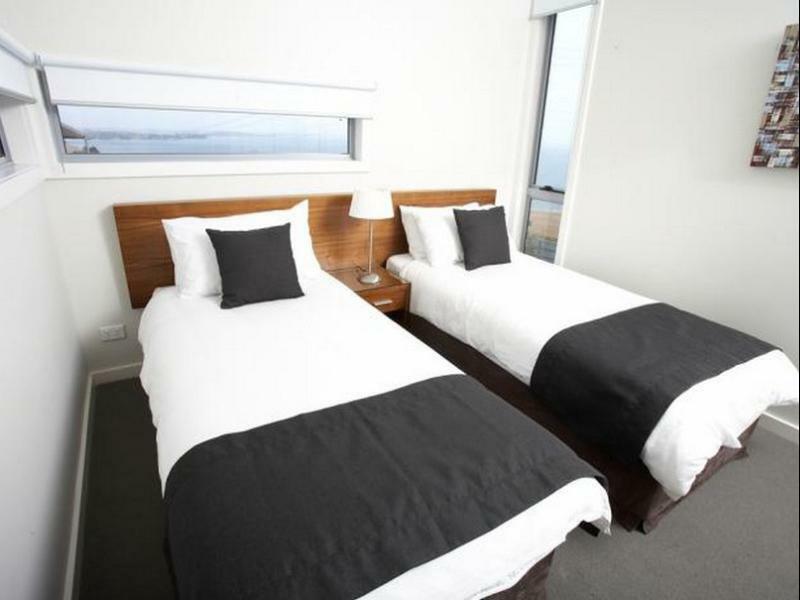 It's probably the best choice for Phillip island visit. overall, we had a wonderful stay at this resort. stayed in a "one bedroom". checking in / out: was a breeze. found out we were the last to check in (around 9.30pm). carpark: pros: complimentary & have an allocated slot just in front of our room. cons: . there are steps to our rooms. (no lifts). its an walk up apt & its not easy as we have heavy luggages to bring up & down! hotel room: pros: clean & spacious. our room comes with washing machine & dryer. also comes with ipod player & bbq kit. outside deck lookout makes the stay more cosy & comfortable. cons: everywhere there are labels that 'charges apply" if we do not maintain the room clean upon check out. this stress us out. we are generally clean & neat, but how would you define??? i forgot & left a bottle of half drank soda in the fridge. hope i will not be charge! breakfast: we were quite late when we went for breakfast. there is only us in the whole restaurant. staff is polite & keep coming to us to make sure that everything is fine. buffet breakfast which we can also order freshly made food from chef on the spot. warning thou, portion for big breakfast is huge, esp for us asians, thus you may want to share to reduce wastage! hotel restaurant closes at 9 or 9.30pm & we missed it thus did not manage to have any dinner on that day. tips: grab any food if you can before checking in if you know you will be late. there is nothing along the stretch of road! we learned it the hard way! hotel is very equip, but we did not get to use any of them. Good location for Philip Island trip. Good management for the hotel room & car park. Think the decoration is kept well & new. 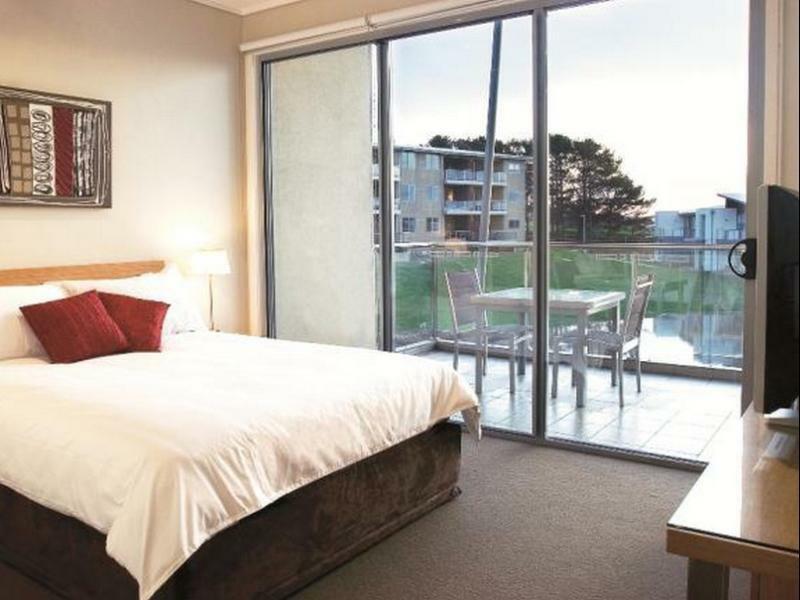 Have big room of balcony & enjoy the wide view landscape of Philip Island. I was pleasantly surprised by how beautiful this hotel is. Everything is lovely. Very clean. Peaceful location . The kids loved the giant jumping pillows & playground. The only negative was the water pressure & heat of the shower water - only luke warm otherwise rooms are beautiful & clean with great beds and grounds kept immaculately. You have to drive everywhere but we exe it’s that and it’s such a beautiful place, it’s worth it. We enjoyed our stay very much. Very poor staff. was not helpful. requested prior days before arriving still did not get what we wanted, and had issues with car park which they didint even bother only left a note on a car. needed toilet paper they shut down did not stock up. had to drive out to petrol station. went heaps of times but this time was not happy. wont reccomand it again. The room is tiny and clean, view is great, only one problem is no elevator and need to carry the luggage to 2nd floor by staircase. The breakfast is also great and must try the real bee house. The room is very clean and easily located. Staff were very nice to recommend us delicacies nearby and extended our check out time as we check in relatively late. The staff also allocated us a room where it is facing the sea so that we can catch the sunrise there. Unfortunately, its too cloudly in the morning then and we are unable to watch the sunrise. Activities for family with younger children, didn't have time to visit the other parts of the resort. Checking in was easy and very quick. we drove up to our apartment/room was clean and nice. There were 5 of us, all adults. we had 2 rooms, 1 Queen and 2 singles. We came back in the evening after Penguin Parade, ask for additional bed was told that housekeeping already closed. The 5th person had to sleep on the couch (we specifically requested 2 rooms with sleeping arrangements for 5 adults). As a couple I wouldn't recommend it. It's much more family friendly with lots of activities for the kids. For the time we stayed we were right in front of the kids area, it was so noisy at times it was unpleasant. I guess if you do stay as a couple ask for a room away from the play area. A little far out of town which we didn't mind but the choice of eating out in San remo was average and the food wasn't so great. Other wise great rooms and great friendly staff!